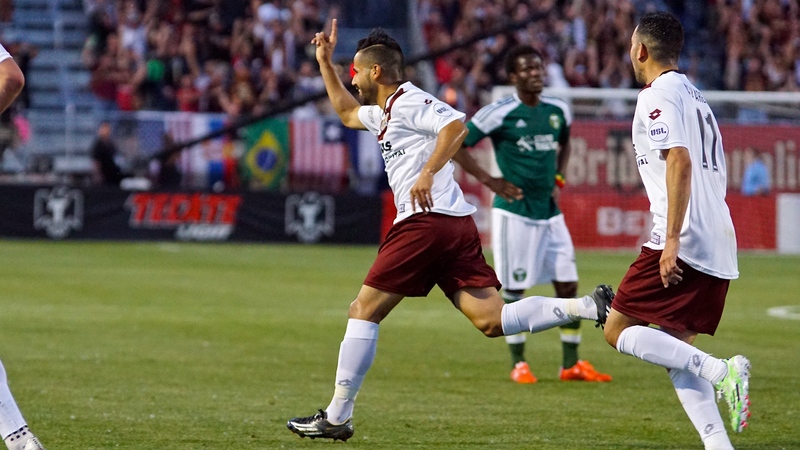 Sacramento Republic FC’s Rodrigo Lopez has been on fire as of late. He scored both goals in the previous game against the Vancouver White Caps FC 2. Including a goal that was shot from behind midfield. The video of the goal went viral world wide. 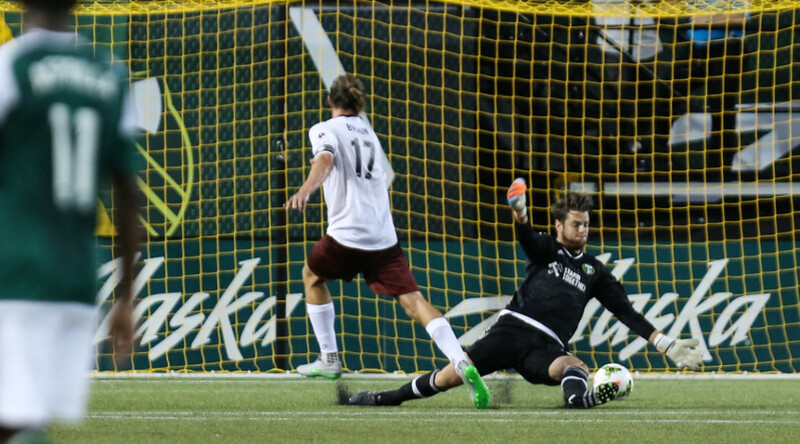 Lopez scored again in the 13th minute versus the Portland Timbers 2. He put Republic FC ahead 1-0. Lopez took the ball from midfield to just outside the box before his low strike deflected off a sliding Harrison Delbridge and into the upper right corner of the goal. He then collected an assist while lofting a free kick to Defender Mickey Daly who headed it past Jake Gleeson for the 2-0 lead in the 37th minute. The savvy veteran Lopez has been making a very tough game look easy as of late. Sacramento went into half-time with a 2-0 lead. The real drama came in the 81st/82nd minute. 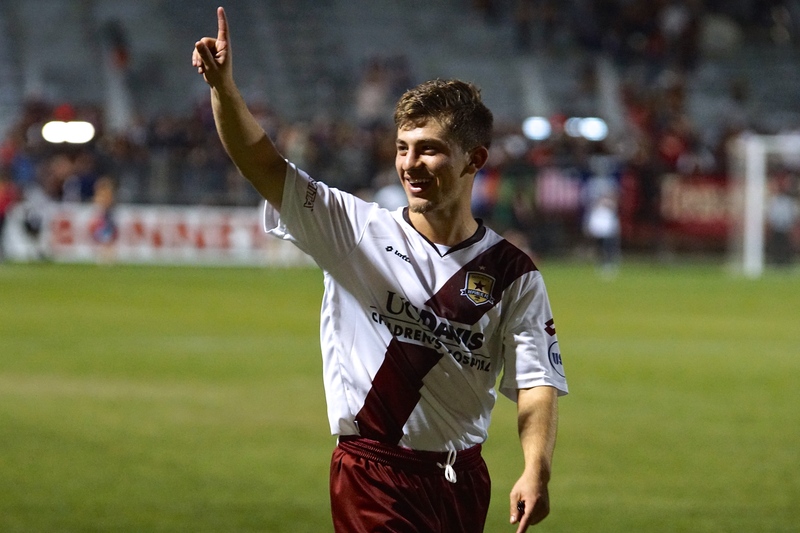 Rookie midfielder Zev Taublieb scored his first professional goal when he sent a rebound past Gleeson, giving Republic FC a 3-0 lead. 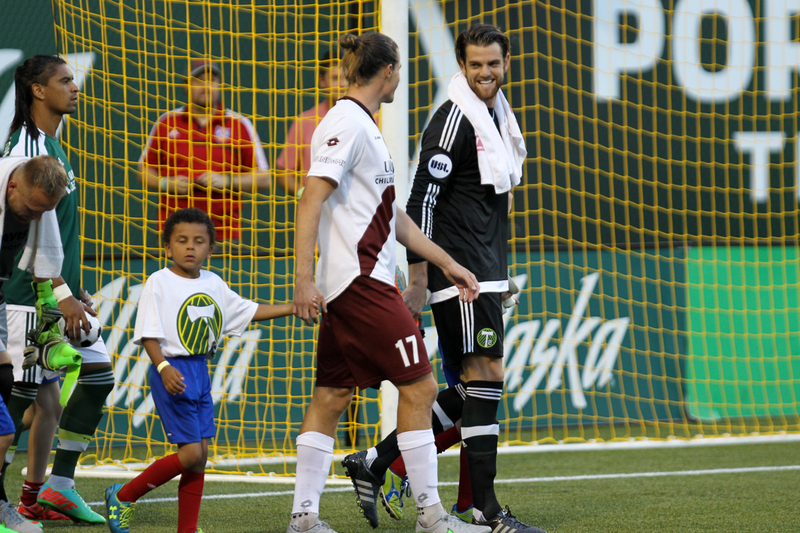 Before the goal Lopez collided with a Timbers 2 player on the west sideline around midfield. The ball had went elsewhere and Sacramento controlled. Lopez got up and limped over to the Timbers bench and laid on the pitch for a little while. He tried stretching and loosening his left leg. Play had continued without him. Braun had broke free about midfield and then a Timbers 2 defender broke up the play and sent it back to Republic FC’s side of the field. Lopez was still on the ground and was slowly trying to get up and test the leg. He was in pain and trying to see how much weight he could put on the leg. In the meanwhile Sacramento regained control and started moving the ball to midfield. Lopez seeing the action worked his way back into the field of play, but he had a noticeable limp. He received a pass and drove the ball towards the goal, not at full speed, he passed the ball to an open Republic FC player who took shot on goal and then Taublieb scored on the rebound. After the goal Sacramento subsituted Gabe Gonzalez for Lopez. Lopez never returned. Republic FC was up 3-0 and there was only minutes remaining. No reason for him to come back in. The trainer worked on Lopez trying to stretch out his hamstring or hip. After the trainer worked on him, Lopez got up and seemed to struggle when he put weight on the left leg. I tried to get clarification post-game about the injury, but was told the ice was believed to be precautionary. The injury seemed to be more than that. Due to the score and the time of the game it was convenient timing. Possibly, it’s nothing that won’t heal over the next 6 days. Right now, it’s pure speculation. What the injury is? I don’t know, but with Hamstrings, Quads, and Hip Flexors many times it take a few weeks of complete rest for those injuries to heal. Post game Lopez had a big bag of ice on his upper thigh and hip area. He did greet numerous players and signed many autographs for fans, all while slightly limping with the ice on. If its really a problem we should hear something about missed practices as it gets closer to Sacramento’s next game. 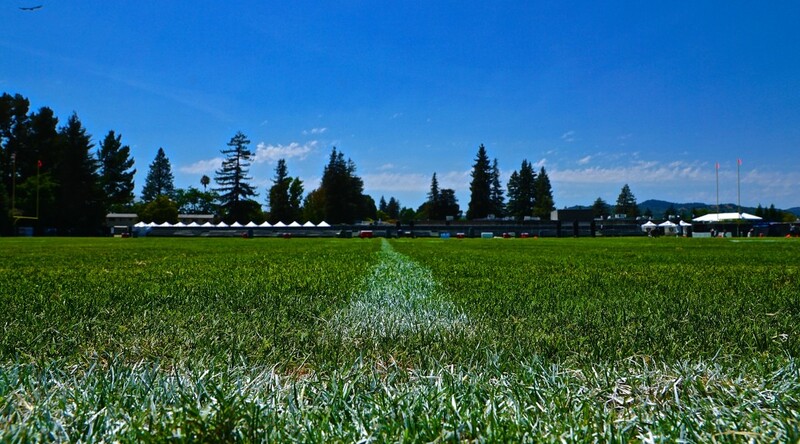 The good news for Sacramento and Lopez, they don’t play again until Friday the 24th against the Orange County Blues FC . UPDATE: Rodrigo Lopez posted on a message on his Facebook. 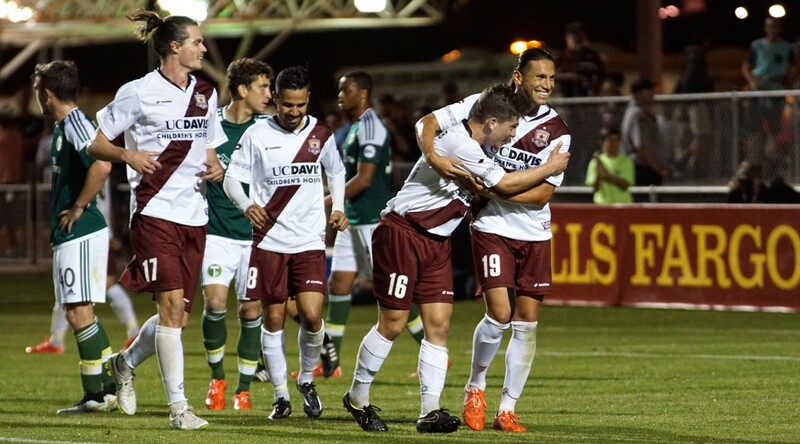 Tonights win puts the Republic FC into the lead in the USL’s Western Conference at (4-2). 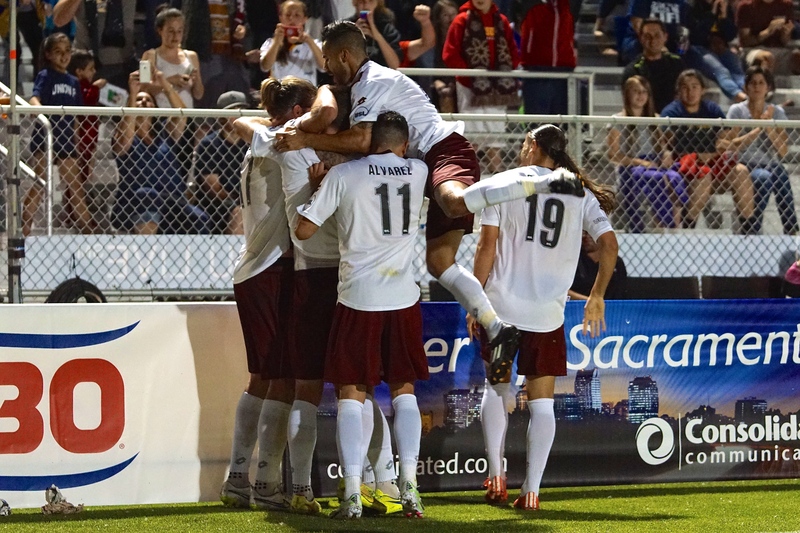 Republic FC started slow but soon regained their form and in the 13th minute put Republic FC ahead 1-0. Rodrigo Lopez took the ball from midfield to just outside the box before his low strike deflected off a sliding Harrison Delbridge and into the upper right corner. 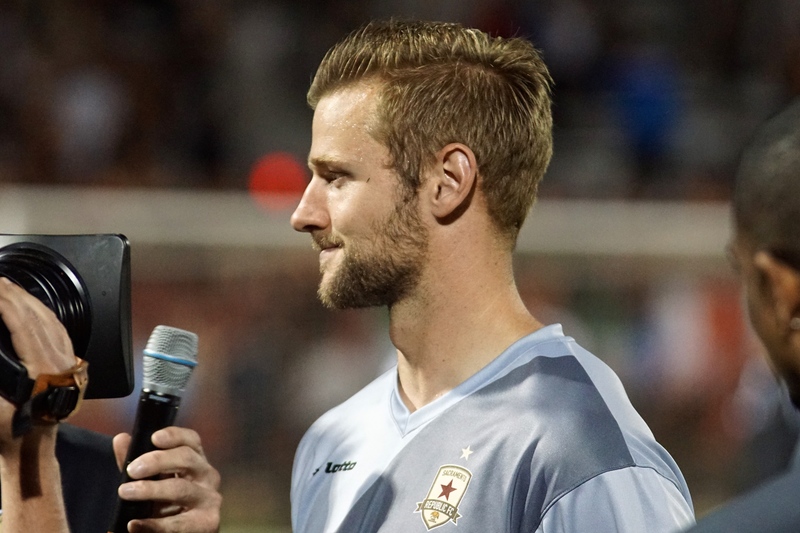 Sacramento continued to apply pressure, with former Republic FC loan goalkeeper, Jake Gleeson the only thing keeping Republic FC from extending its lead, saving a strong attempt from midfielder Max Alvarez in the 16th minute. Defender Mickey Daly doubled the lead for Sacramento in the 37th minute, heading in a lofted set-piece from Lopez past a diving Gleeson. 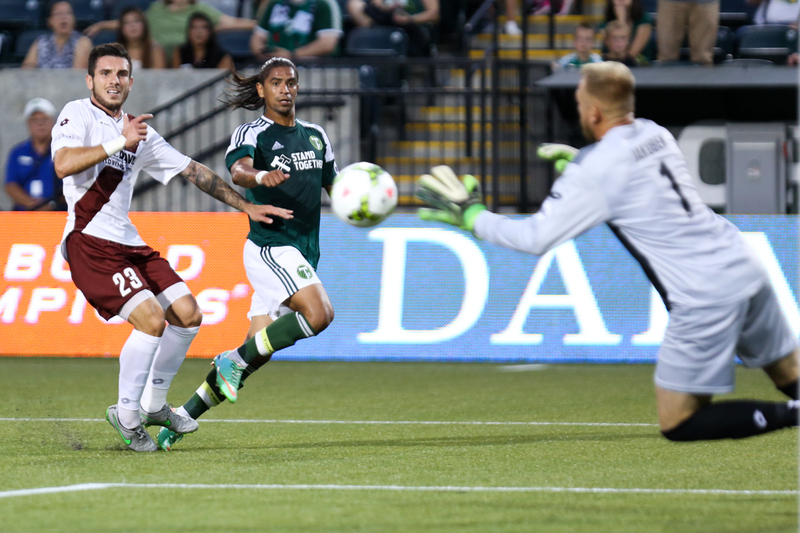 The goal put Republic FC up 2-0. 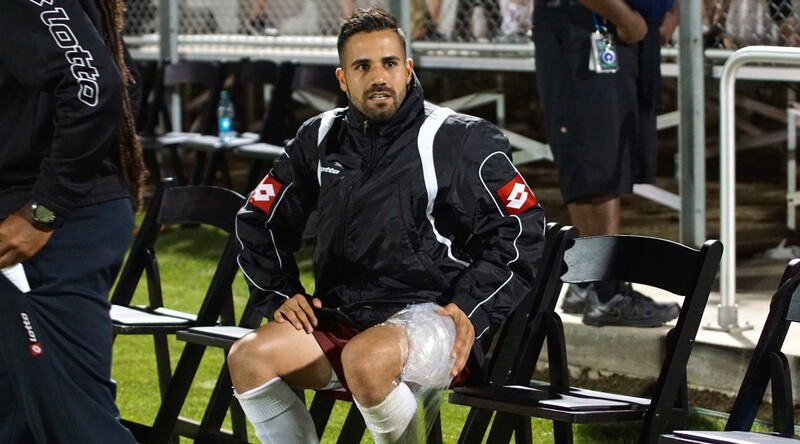 T2’s best chance for a goal came in the 41st minute, with successive strikes by forward Fatawu testing Republic FC goalkeeper Patrick McLain for the first time. But, McLain stood strong keeping Republic FC ahead 2-0 at halftime. 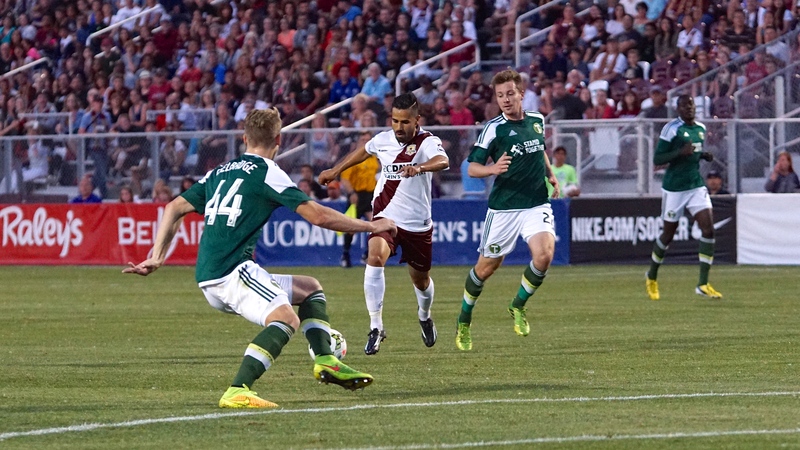 Republic FC continued to control possession in the attacking third and almost put the game out of reach in the 64th minute as Octavio Guzman’s volley from an Alvarez corner-kick sailed inches over the crossbar. In the 82nd minute rookie midfielder Zev Taublieb scored his first professional goal when he sent a rebound past Gleeson, giving Republic FC a 3-0 lead. Republic FC will be back in action again when they take on Orange County Blues FC on Friday, April 24 at Bonney Field. Kickoff is 7:30 p.m. Misconduct Summary: SRFC – Ivan Mirković (caution) 44; Justin Braun (caution) 56; Max Alvarez (caution) 66. 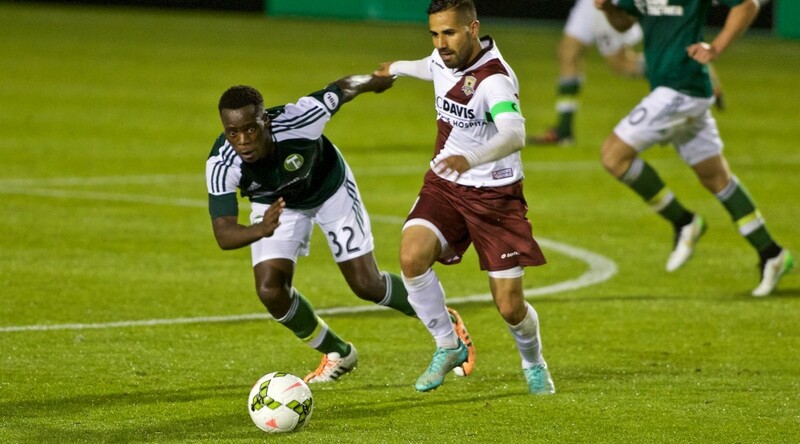 Portland Timbers 2 – Jake Gleeson; Andy Thoma; Harrison Delbridge; Anthony Manning; Taylor Peay; Blair Gavin; Nick Besler (Tim Payne 45); Schillo Tshuma (Steven Evans 77); Fatawu; Rundell Winchester (Matt Rose 77); Kharlton Belmar. Subs Not Used: Justin Luthy; Seth Casiple; Rennico Clarke. Stats: Shots: 8, Shots on Goal: 3, Saves: 4, Fouls: 10, Corner Kicks: ,4 Offside: 5. 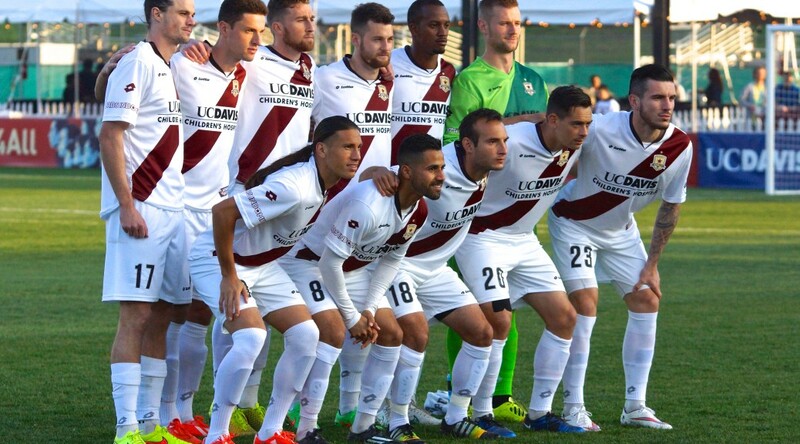 Sacramento Republic FC – Patrick McClain; James Kiffe; Mickey Daly; Nemanja Vuković; Emrah Klimenta; Ivan Mirković; Octavio Guzman (Cameron Iwasa 88); Max Alvarez (Zev Taublieb 67); Rodrigo Lopez (Gabe Gonzalez 83); Justin Braun; David Estrada. Stats: Shots: 13, Shots on Goal: 7, Saves: 3, Fouls: 8, Corner Kicks: 5, Offside: 2. The match started with both teams trying to maintain possession and control the midfield. Both sides had some good chances early but were unable to convert in the first half. In the 41st minute Republic FC got their best look on goal in the first half when defender Emrah Klimenta sent a ball to midfielder Rodrigo Lopez in the middle of the field. Lopez trapped the ball and took two dribbles forward to the top of the box before sending a left-footed strike towards goal, but the ball sailed just over the crossbar. Four minutes later, T2 got their best opportunity of the first half. In the 44th minute a poor clearance by Republic FC left T2 forward Schillo Tshuma open and behind the defense. Tshuma tried to chip the onrushing Patrick McLain but sent the ball just wide left of the goal, keeping the match at 0-0 going into the break. 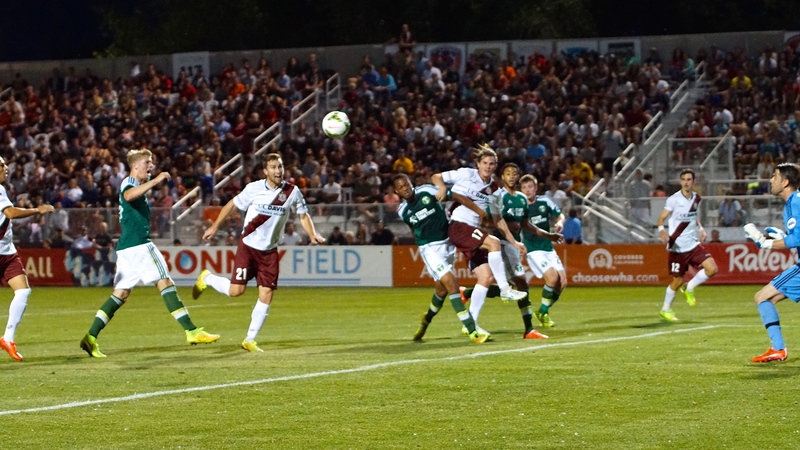 Republic FC started the second half quickly, winning three corners in the first three minutes of the half. In the 48th minute forward Cameron Iwasa made a move to get behind the defense and had a one-on-one with T2 keeper and former Republic FC loan player Jake Gleeson but was unable to get the ball past the onrushing Gleeson. In the 61st minute Republic FC was able to find a goal. Second half substitute Joaquin Rivas received the ball at the top of the box, behind the defense, settled the ball and sent a pass back to Iwasa who was running on the right side of Rivas. Iwasa was able to shoot the ball into an open net since Gleeson had rushed forward to block a possible shot from Rivas. T2 took no time in finding an equalizer just a minute later, made the score 1-1. Defender Taylor Peay ran the ball up the right side of the field and sent a low cross to forward Kharlton Belmar who was behind the defense. Belmar then poked the ball past McLain who was not able to react in time to save the ball. In the 87th minute Republic FC cleared a weak shot by T2, but the clear went right to the feet of Steven Evans at the top of the box. Evans ran onto the ball and with his first touch sent a rocket into the top right corner of the box and put T2 ahead 2-1. Republic FC will return home to take on LA Galaxy II at their Bonney Field Opening Night on Saturday, April 11. Kickoff is 7:30 p.m. The match is sold out, but fans may purchase tickets to the next Republic FC match, on April 15, at Ticketmaster.com. Scoring Summary: SRFC – Cameron Iwasa (Joaquin Rivas) 61, POR – Kharlton Belmar (Taylor Peay) 62, Steven Evans 87. Misconduct Summary: SRFC – Derek Foran (caution) 35, Mickey Daly (caution) 59; POR – Taylor Peay (caution) 69. 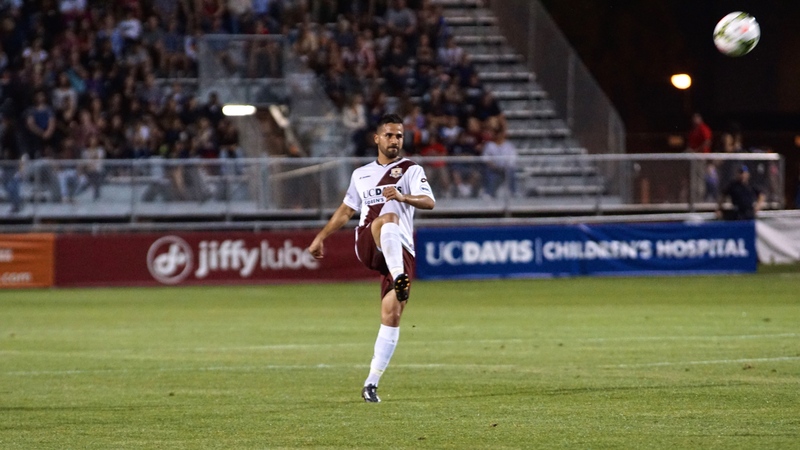 Sacramento Republic FC – Patrick McLain; Emrah Klimenta, Mickey Daly, Derek Foran, James Kiffe; Octavio Guzman, Ivan Mirković, Gabe Gonzalez (Joaquin Rivas 59), Rodrigo Lopez; Cameron Iwasa (Adnan Gabeljic 77), David Estrada. Subs Not Used: Dominik Jakubek, Agustin Cazarez, Gabe Gissie, Alfonso Motagalvan. Stats: Shots: 11, Shots on Goal: 5, Saves: 2, Fouls: 9, Corner Kicks: 8, Offside: 5. Stats: Shots: 7, Shots on Goal: 4, Saves: 4, Fouls: 18, Corner Kicks: 4, Offside: 3.